How is this odd? Squirrels are evil tree rats. Just wow - a good reminder to stay on the designated boardwalks. Theft CVS ..... Male suspect stole a bottle of antidiarrheal medicine, Imodium. The officer asked dispatch if he was on the run. Just don't sit down without looking. 8-! hanging upside for about four hours by a cable ? said he didn't know why ... climbed a tree to look for a dog. what other weird things have been found in a home demolition ? 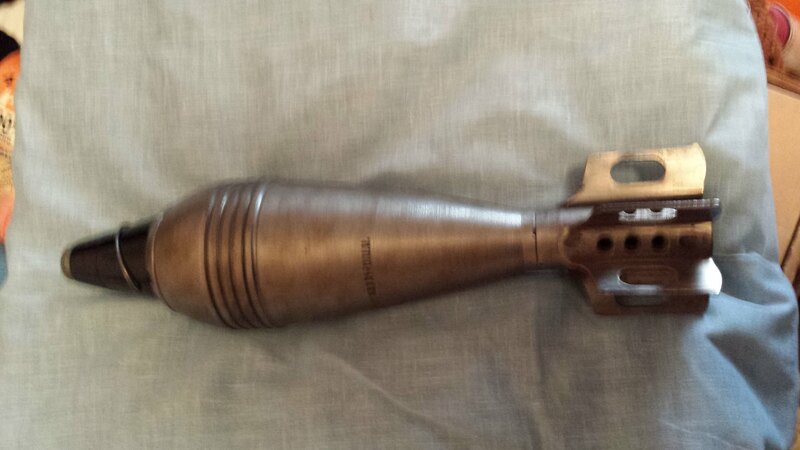 Not a demo but found in a house after a death when the family was cleaning it out. Birmingham Police are investigating a drive-by smackdown that took place inside an Italian bistro. Police say a 32-year-old Sterling Heights man was sitting alone at Market North End at 474 N. Old Woodward when two men rushed into the restaurant and began attacking him. The fight was quickly broken up, and police say the two men fled in a black truck. One of the attackers is apparently the victim&#8217;s cousin. Birmingham Police Cmdr. Scott Grewe said the two relatives reportedly were arguing over the phone when the victim allegedly taunted the cousin and told him where he could find him. The cousin apparently found him. The incident occurred April 15. Grewe said the victim &#8212; who ended up with a swollen eye &#8212; is reluctant to file charges against his relative. Doctor allegedly performs liposuction in barn 8-! allegedly performing liposuction surgery in a pole barn without a legal business license. may not have followed the appropriate biohazard standards. So a zoning violation is the least of his worries ? Couldn't possibly be a zoning violation....the activity took place on a farm! authorities say a man was trying to deliver drugs to a residence while a police search was already going on. A teacher and a paraprofessional at Stone Mountain Middle School have been removed from the school and charged with disorderly conduct in a public place following a fight Friday that was caught on tape by students. In one 24-second clip, posted on social media, two women are seen in what appears to be a science classroom punching each other several times before another adult attempts to break up the fight. DeKalb County School District officials declined to name either woman involved, and did not elaborate on a statement released about the incident. of the "Pastafarian" religion, a belief that a flying spaghetti monster created the universe. Ryanair - color me shocked. At my previous place, there was a woman in HR that ran one of those lingerie home (pure romance?) party sales businesses from her desk. She got caught by passing out catalogs to some employees. She commented she thought it was okay because another woman was running an Avon business from her desk. They both were 'let go' - but the Avon woman was hired back about 2 months later. I heard that since the dept. head bought stuff from her they worked out a deal and called it a suspension. At another previous place, the dept. head was running his real estate rentals from his desk. Nothing was ever said or done with that. We had a septic inspector that used to run his real estate business during work hours. He no longer works here. Then was hired as a director, then fired again. Did I mention the reason he no longer works here is sexual harassment. We're not talking hey babe kinda stuff. More like hey look at what I can whip out in front of you. I also hear stories of a lady who worked as a child care inspector while selling "toys" on the side. She used to give everyone cards. People in the office, people she met on the street, businesses she just inspected. What a crappy thing to do. Well, some people I guess lack that filter and things like this happens. The analysis also said instant coffee brand also contains undeclared milk. Now granted, I don't much like AT&T either, but really?!?!!?!? Would you bath where gators are ? I feel really bad for this guy - maybe the robber was hungry or wanted to compete in cook-off contests. in a 15-foot above-ground pool located in the basement of the home. Sand tiger sharks are a federally protected species, and it is illegal to own them anywhere on the East Coast unless you have a special permit. KANSAS CITY, Mo. (AP) — A police interrogation of a Kansas City man charged with drug and gun offenses ended prematurely when an investigator was driven from the room by the suspect's excessive flatulence. You have the right to remain silent but deadly. You used to work with Louis CK?? ?